Hundreds of New York City children known to be at risk of abuse or neglect are on a waitlist for the help that could keep them safe in their homes, the I-Team has learned, prompting questions over whether the city is doing everything it can to protect them, especially after a recent string of child abuse deaths. Melissa Russo reports. Hundreds of New York City children known to be at risk of abuse or neglect are on a waitlist for the help that could keep them safe in their homes, the I-Team has learned, prompting questions over whether the city is doing everything it can to protect them, especially after a recent string of child abuse deaths. Abuse prevention services have proven effective in keeping families together, as opposed to taking the child away and placing them in foster care. Provided by non-profits under contract with the city, the services have shown it's possible for parents to rehabilitate and for children to stay safe. "It's actually empowering for parents, it makes them feel like they can do the job," said Ronald Richter, who was the ACS commissioner under Mayor Michael Bloomberg. A case like Michele Montgomery's illustrates just how powerful the programs can be. Montgomery had a history of neglect with her first three children, and she lost custody of them while she continued using crack during pregnancy with her fourth child, De'Anna. Could ACS Have Done More to Protect Brooklyn Boy? New questions have been raised about whether the city's Administration for Children's Services could have done more to protect a 3-year-old boy from abuse. Checkey Beckford reports. She was determined to keep De'Anna but getting there wasn't easy: anonymous tipsters reported Montgomery to the child abuse hotline at least 10 times. "I wanted to actually become a successful parent for a change," she said. "I would yell and scream really bad. Others would hear it and they would get afraid for the child." Today, Montgomery is clean, and with the help of preventive services provided by the city through a non-profit called New Alternatives for Children, she's bonded with De'Anna and they've stayed together. The program keeps an eye on De'Anna's health, and also teaches Montgomery how to remain calm using breathing exercises and, her personal favorite, art therapy. Keeping mom sober keeps De'Anna safe. But preventive services like these, experts say, are in a state of crisis in New York City. The city isn't keeping up with the need for the programs, despite relying less on foster care and leaving more neglected children at home, according to Richter. "There's been this dramatic reduction in children being removed [from troubled homes], and at the same time, there hasn't been the same critical investment in preventive services," said Richter, who now runs JCCA, a group that offers preventive services. The de Blasio administration insists they're doing more prevention to keep kids safe at home, and they say under this mayor, they've invested an extra $49 million to do that. 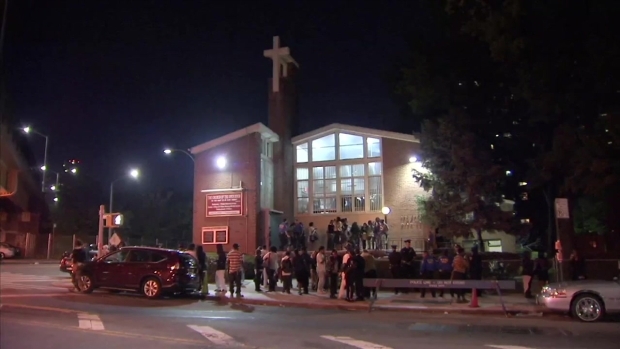 The 6-year-old New York City boy who died last week after allegedly being abused by his mother's boyfriend was mourned at a packed funeral service Friday night, paid for by NYPD detectives who were touched by the tragic case. Michael George reports. But the I-Team's review of city tracking and ACS reports found the numbers aren't adding up. Despite a slight uptick in the number of child abuse cases, the city opened 548 fewer preventive cases last year compared to 2015. Another 500 families considered at-risk by ACS are on a waitlist because 10 key non-profit prevention programs do not have enough staff. And the children in these cases aren't being removed from their homes, either: in recent years, the number of children in foster care has dropped below 9,000 for the first time since the 1990s, when there were 55,000 children in the system. The could mean families found to be at risk of abuse or neglect are in limbo, with children potentially paying the price. "Between homelessness and domestic violence and substance abuse, we're seeing more and more families who are right on that cusp," said Jess Danhauser, president of nonprofit child welfare agency Graham Windham. "If one more stress hits them, there might be danger to a child." Non-profit groups like Graham Windham, who provide preventive programming to go into homes to help struggling parents, say their workers are often the only set of eyes on increasingly troubled and overloaded families. But the workers themselves are underpaid and stressed, and often quit to take higher-paying jobs with ACS. "Our staff go into homes by themselves," said Danhauser. "They're making about $39,000 a year, which includes money we raise to increase their salaries. They go into homes to make sure that children are safe." Jim Purcell, CEO of the Council of Family and Child Caring Agencies, said, "The mayor has been a great supporter of preventive services over the years but right now, that system is crumbling from within." The city's preventive services system is necessary, experts agree, but under such strain, it's now desperately in need of resources. The city's acting ACS commissioner says the current backlog and waitlist for preventive services is due in part to time-consuming new safety requirements put in place after the death of 6-year-old Zymere Perkins. Perkins was beaten to death at home months after his preventive case was closed prematurely. 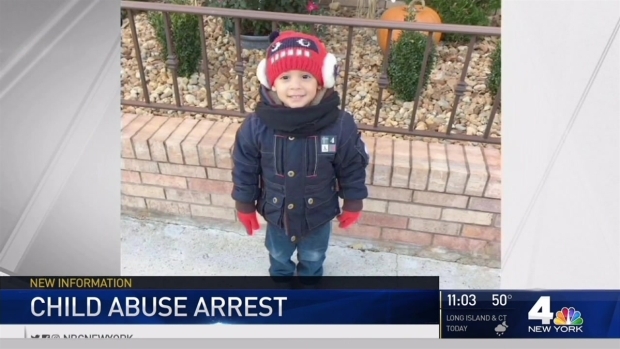 His mother, Geraldine Perkins, faces child endangerment charges in his death, and Perkins' boyfriend, Rysheim Smith, faces murder and manslaughter charges. "It's our goal to make sure no child should wait for anything," said Eric Brettschneider. "We've been very careful about allowing cases to close in preventive services." That painstaking caution is what makes new cases harder to open but, Brettschneider said, "We're gonna manage that. We're gonna reduce that backlog." Brettschneider noted that despite the backlogs and slow rollout at some prevention programs, ACS has not seen more children being abused as a result. "I think prevention providers will see increases in resources to support them and an expansion of programs in the coming months," he said. It's those programs that Montgomery says have given her another chance at motherhood. "At times, I didn't feel like I could do everything on my own, but now I do," she said.